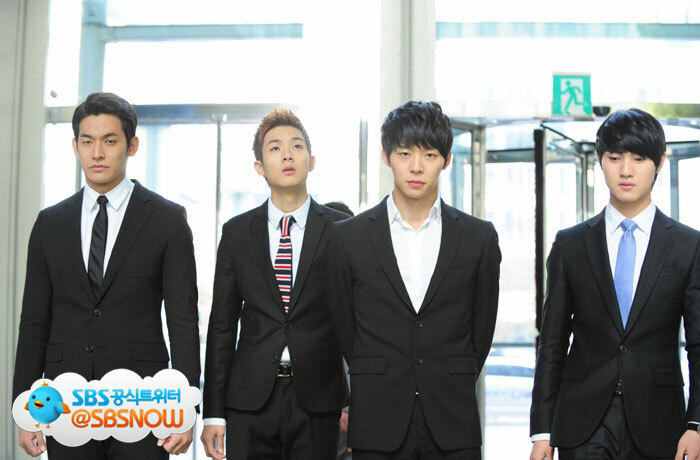 The flowery handsome foursome gang in Rooftop Prince cut short their hair. In SBS drama Rooftop Prince, the 4 pretty boys including Park Yoochun who traveled from Joseon Dynasty 300 years ago to modern era decided to cut their hair in order to adapt to modern lifestyle in Seoul. The trio (Lee Min Ho, Jung Suk Won and Choi Woo Sik), who understands the importance of body, hair and skin that received from parents, insists that they cannot cut their hair. 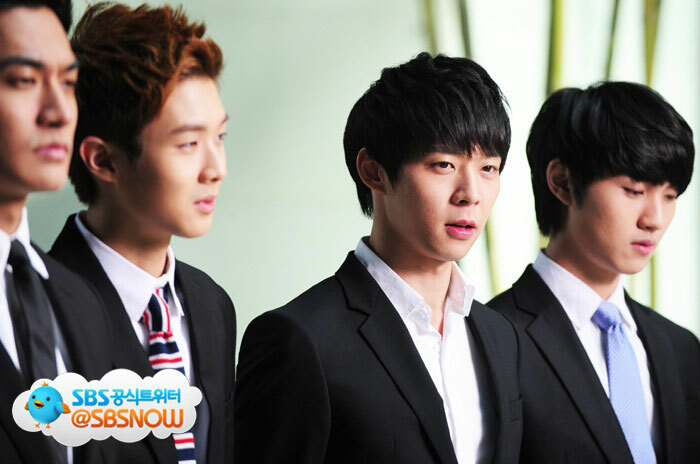 However, the crown prince (Park Yoochun) has made up his mind and orders them to cut short the hair. So far in the drama, apart from traditional hanbok, the foursome gang has been wearing only the old-fashioned primary color sportswear. 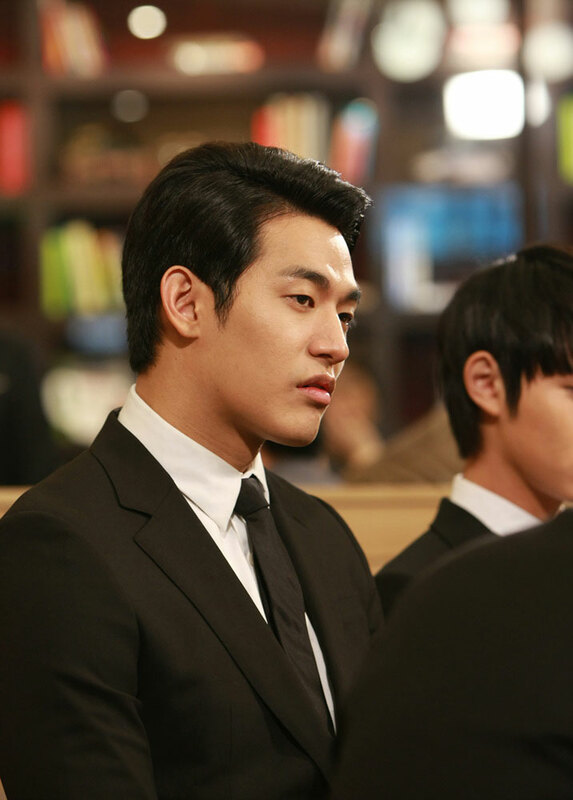 Thus the four persons decide to change into black suit with short hairstyles. The crew members on the scene said astonishingly, "The four persons look like The Beatles in their prime. 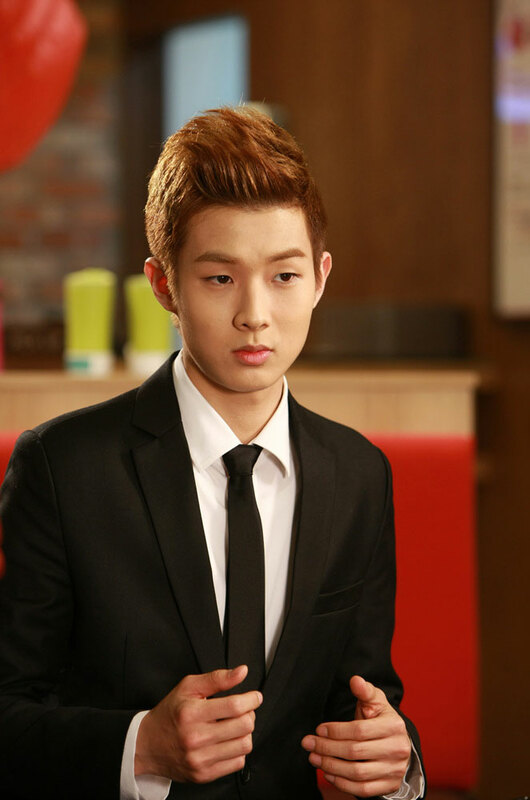 Though we knew that they are handsome, but nobody would thought it makes such a great differences."